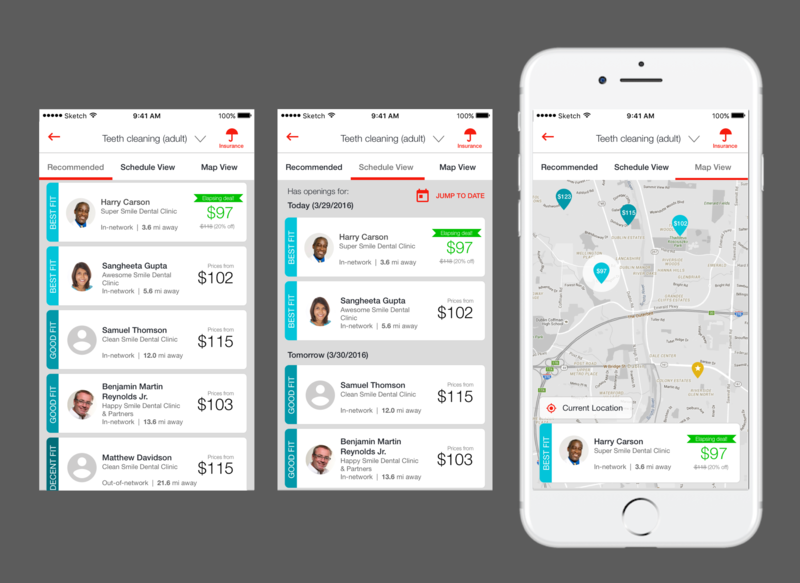 I re-designed the experience of a Cardinal Health app called Sense to better understand health consumerism. 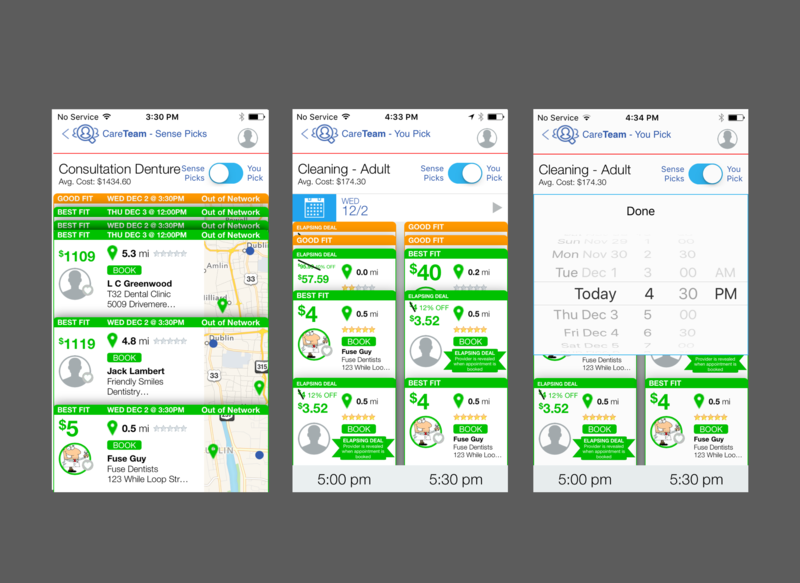 The goal of this project was to begin to understand healthcare consumerism through an app experience. 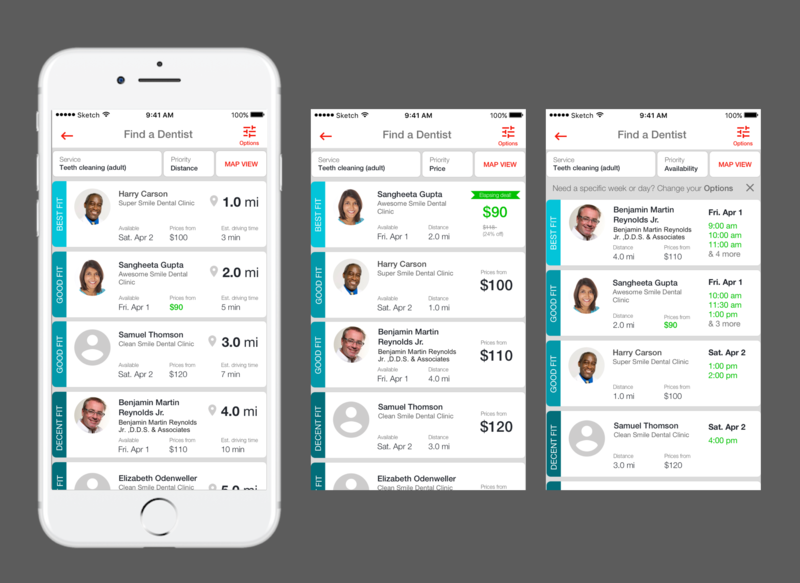 Consumers could look up nearby dentists and book appointments directly within an app. 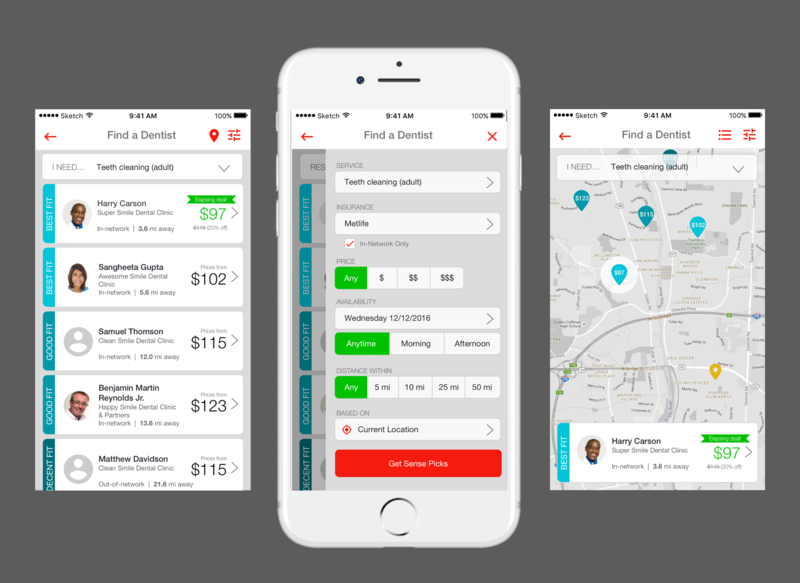 The idea was similar to Priceline in that you could find last minute deals since an open seat in a dental office is lost money. 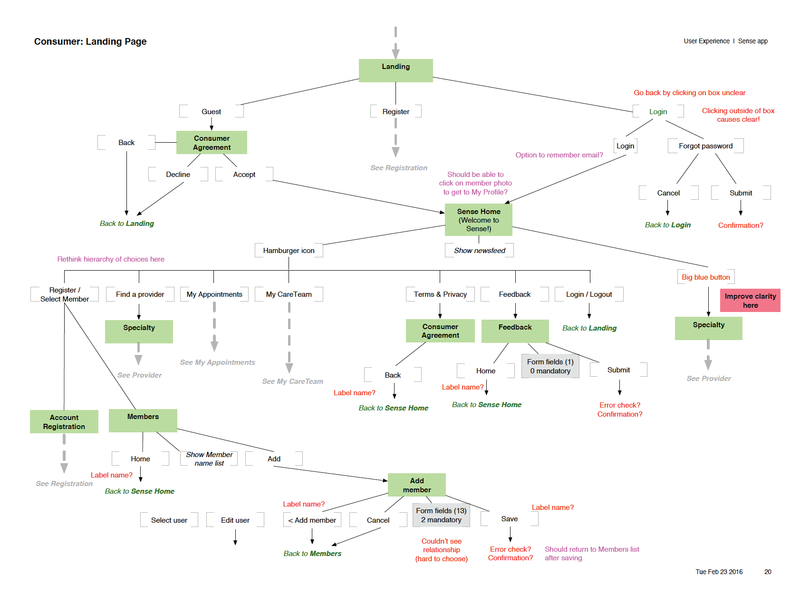 Through a heuristic review, I identified 9 simple fixes and 6 critical fixes in the app. 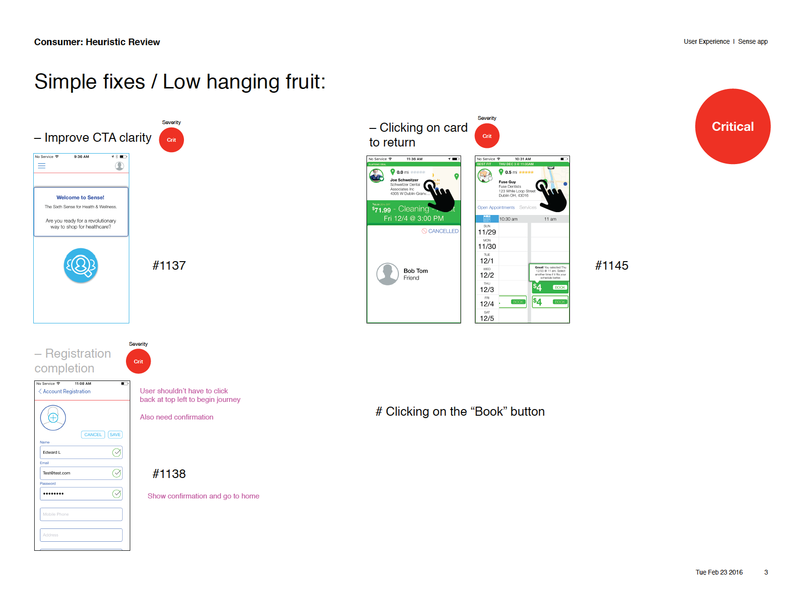 I did usability testing to 9 participants and verified 7/9 of the simple fixes and 3/6 of the critical fixes. 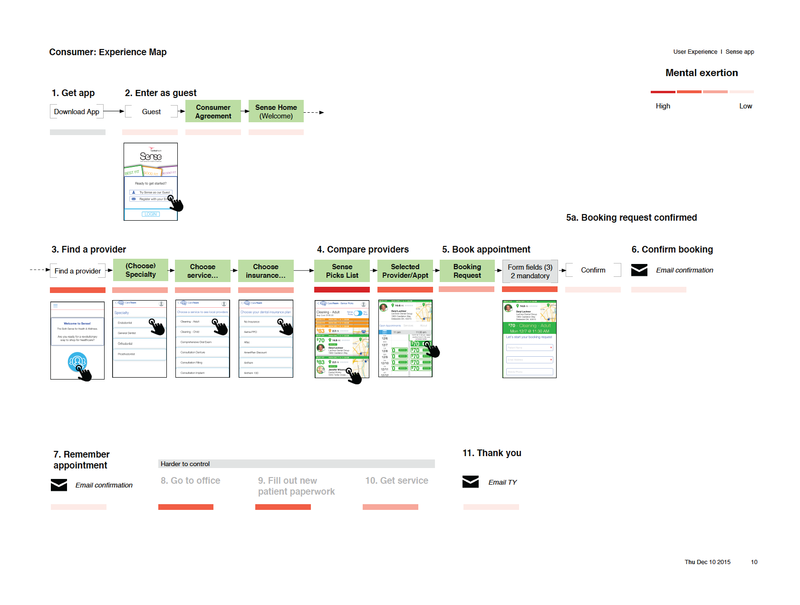 This convinced the product owner that changes were necessary. I made the appropriate changes and showed how they would be applied in three different concepts.